If the fall is one of your favorite seasons to camp, then our Western Fall Camping Guide (Desert Edition) may help you find a campground to your liking. There are probably hundreds of great (desert) campgrounds to camp at this fall in the Western U.S. and we’ve profiled a few in this blog. Subsequent articles will highlight other prime fall campgrounds in the mountains and along the coast. Fall camping in the desert can be quite magical. You won’t find the fall colors, but you will enjoy generally mild weather, incredible starry-night skies and a variety of outdoor recreation activities. 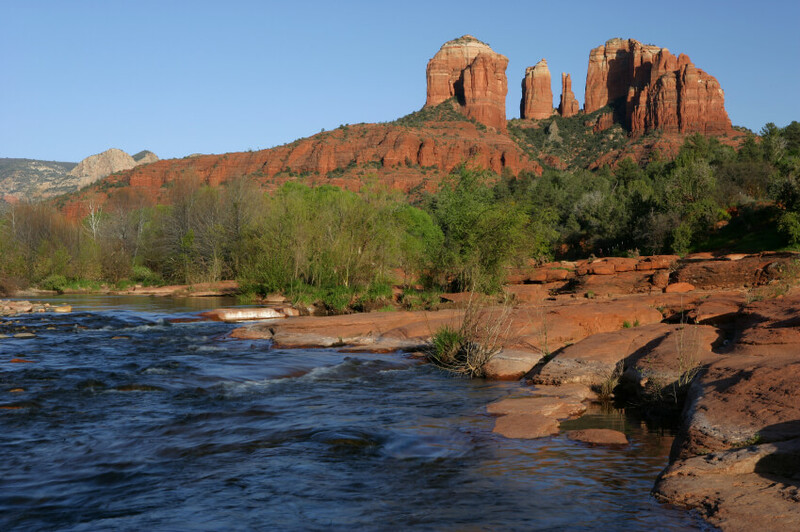 The Colorado River area, along the Arizona & California border, has some beautiful campgrounds and great opportunities to boat, fish, hike, bike and explore the desert terrain on your ATV. 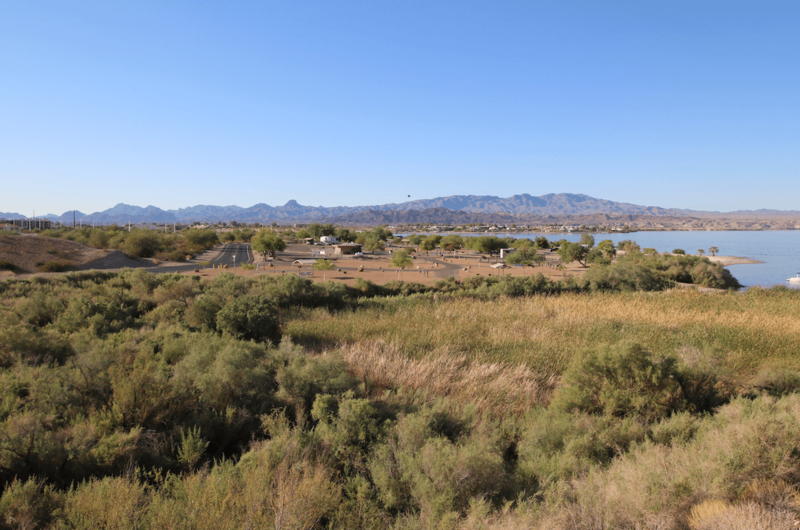 Some of the more popular campgrounds along the southern stretches of Colorado River include Buckskin Mountain State Park, Lake Havasu State Park, Cattail Cove State Park and Katherine Landing. All are located next to the river, have boat ramps, hookups and modern amenities to make your stay enjoyable. They are also relatively close to towns and tourist attractions. 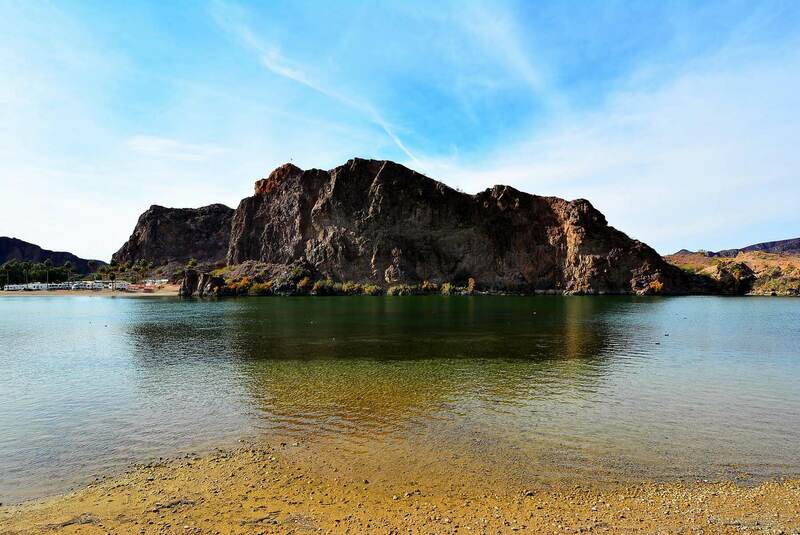 Cottonwood Cove on Lake Mohave (Colorado River) is another nice place for some fall camping. 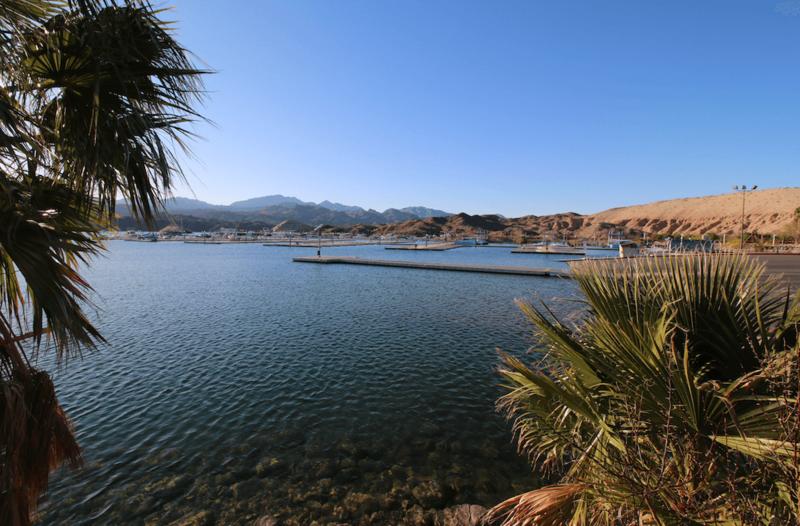 Up to the north you have several campgrounds around Lake Mead including Boulder Beach, as well as (pictures coming soon) Las Vegas Bay, Calville, Temple Bar and Echo Bay. 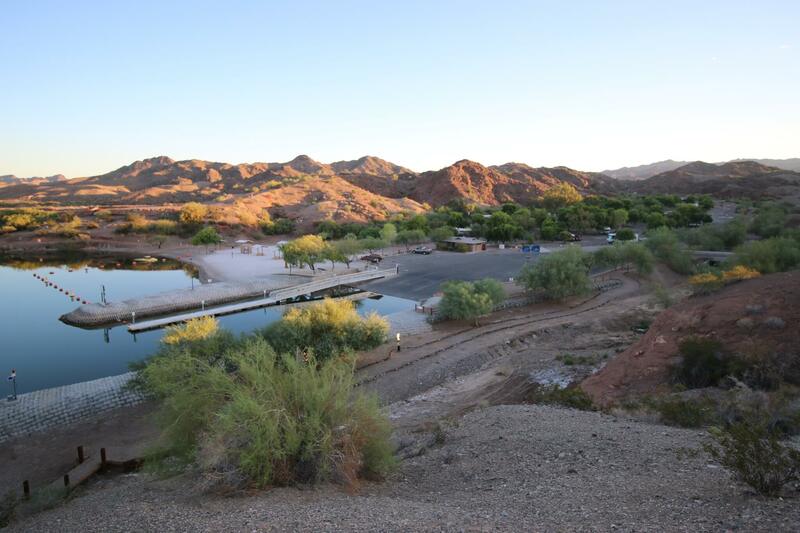 If you don’t need to have a body of water close by, then you may want to consider Valley of Fire State Park (NV), Lost Dutchman State Park (AZ), Death Valley National Park (CA), Joshua Tree National Park (CA) or Anza-Borrego Desert State Park (CA). 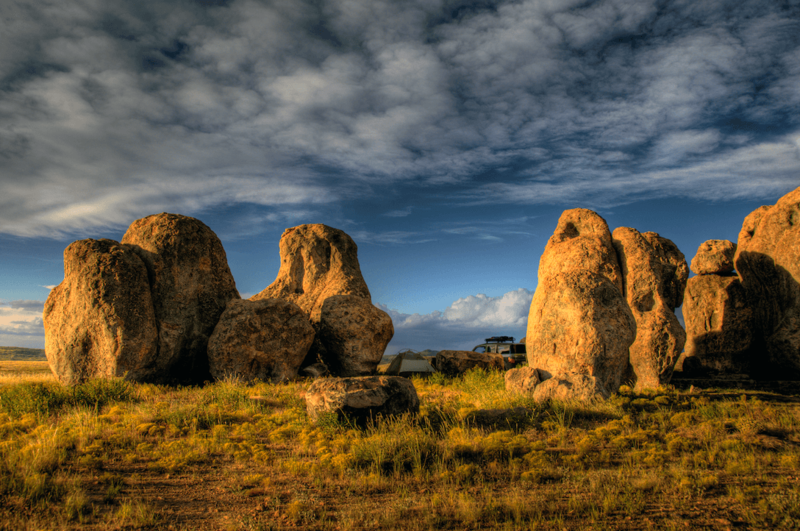 Joshua Tree National Park has 8 campgrounds with over 500 campsites. 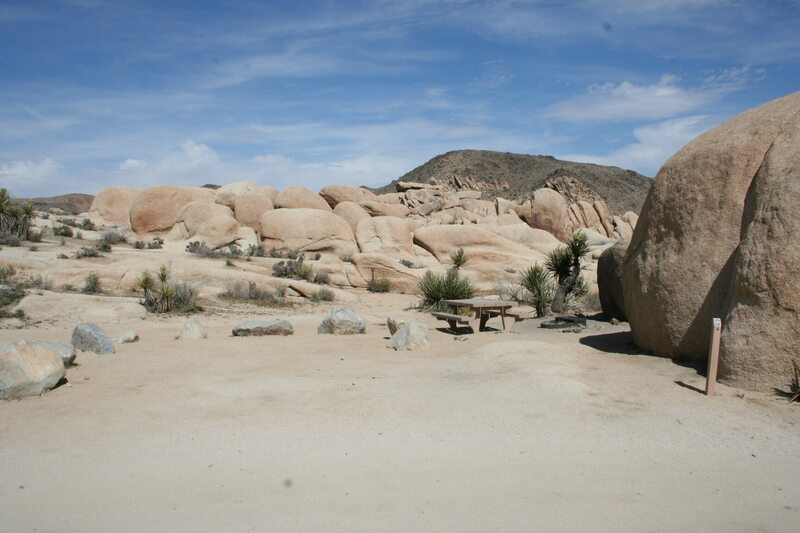 Most all of the campgrounds have spectacular views and large granite boulders next to the campsites like at White Tank Campground. Valley of Fire State Park has its own magnificent desert scenery and miles of hiking trails. You can camp at either Arch Rock or Atlatl campgrounds. There are also some campsites with water/electric hookups at Atlatl campground. Arch Rock is a bit more primitive, but very nice. 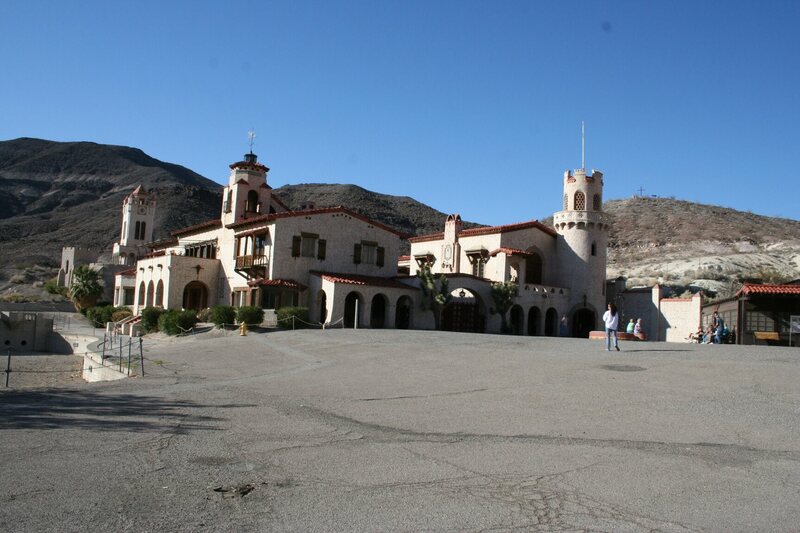 Anza Borrego Desert State Park has two campgrounds, as well as at-large (primitive) camping. The Park is famous for its spring wildflowers, but in the fall you can take advantage of the cooler temps and explore the vast outback in your OHV. There are also numerous trails to hike or mountain bike. 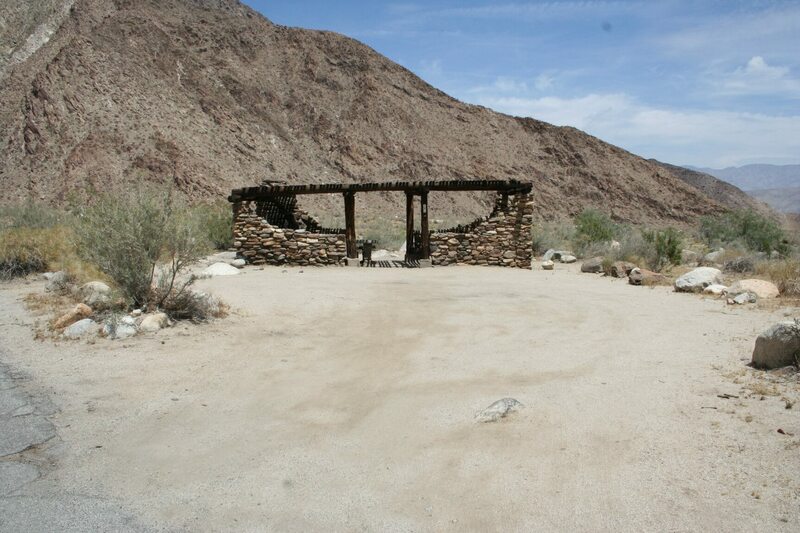 Tamarisk Grove campground is 5 miles southwest of the town of Borrego Springs and has 27 campsites (some with cabins). 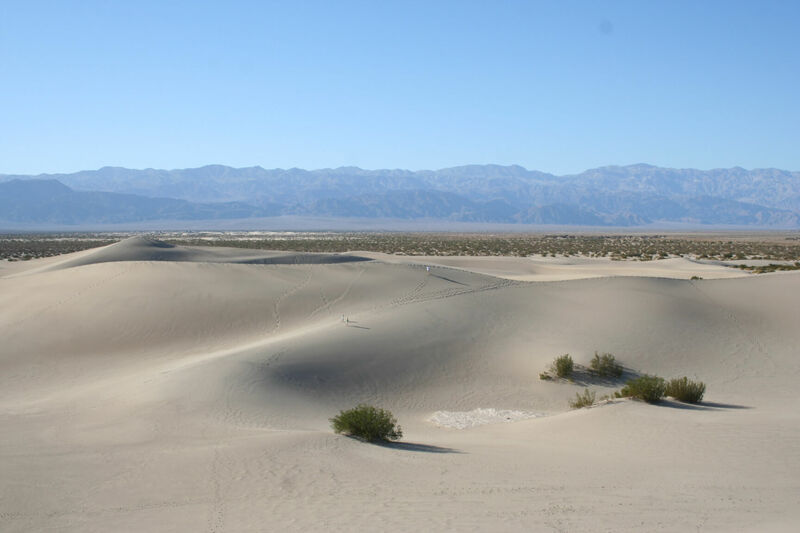 Borrego Palm Canyon is the main campground with 120 campsites (51 RV sites with electric hookups). Lost Dutchman State Park is 40 miles east of Phoenix, BUT (legend has it) just a few miles from the fabulously rich Lost Dutchman gold mine located somewhere up in the Superstition Mountains. 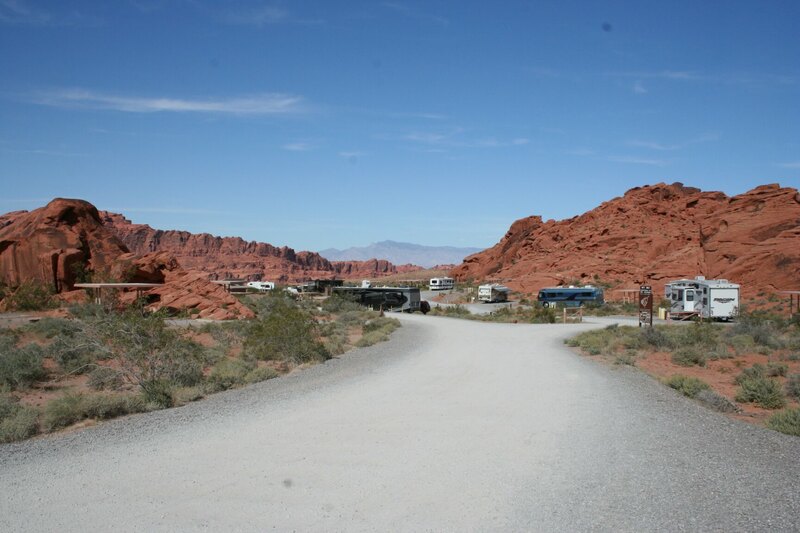 The campground has 134 large campsites for tents trailers and RVs. Several of the sites have hookups. 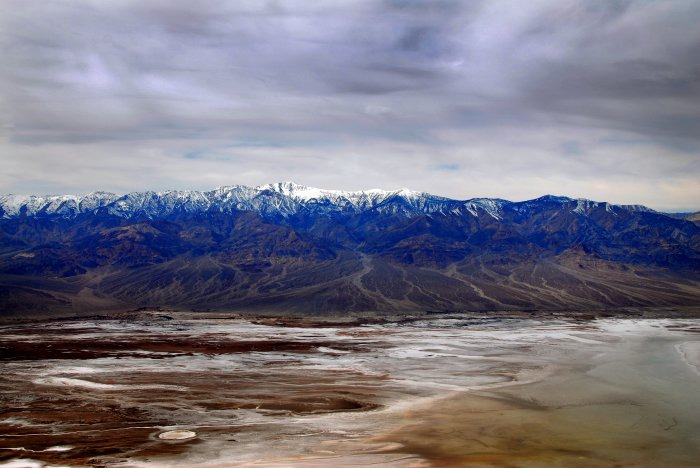 And finally, Death Valley National Park offers amazing geological wonders, several ghost towns and historic sites, epic sand sledding, miles of off-road and hiking trails, and 4 primary campgrounds. 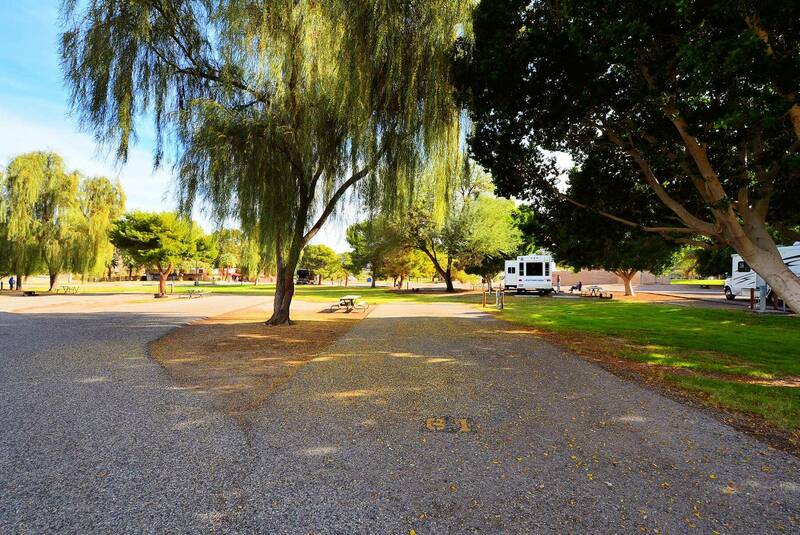 Furnace Creek campground has 136 campsites (several with full hookups). 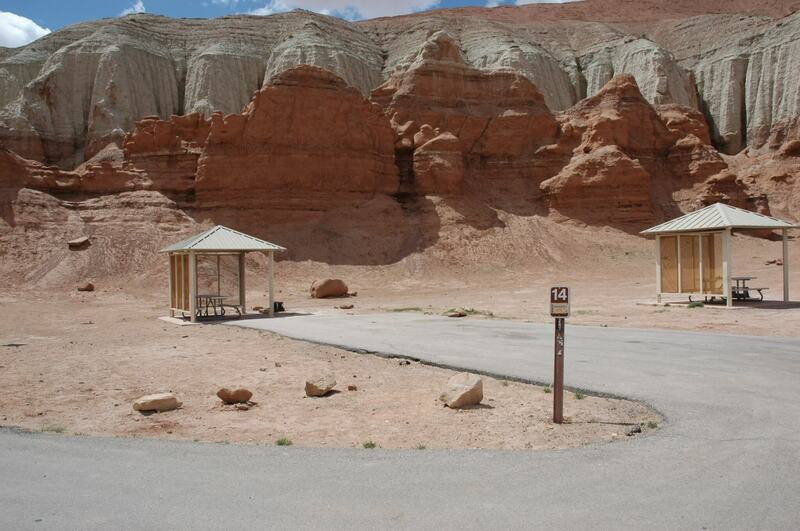 Texas Springs has 92 first-come, first-served campsites (no hookups). 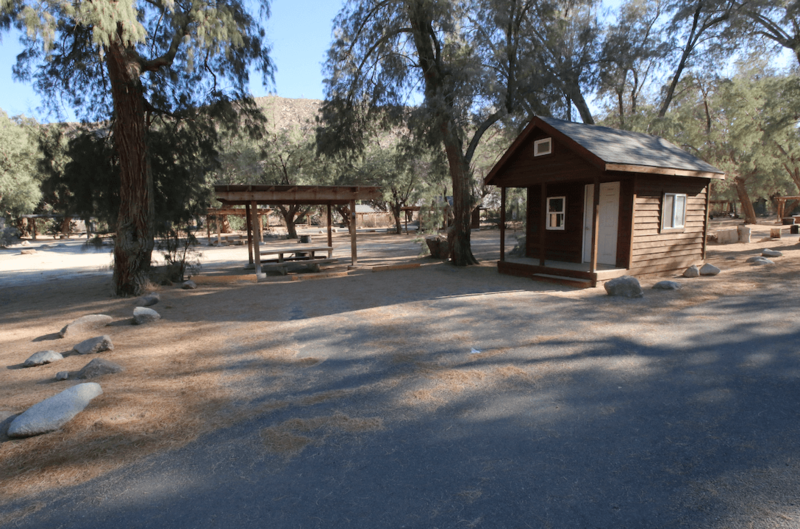 Stove Pipe Wells is also first-come, first-serve and has 190 campsites in a large parking lot type set up. And Sunset is another parking lot style campground (first-come, first-served) that has about 270 campsites. There are also few other western (desert) campgrounds we didn’t want to leave out including: City of Rocks State Park (NM) – although this is high-desert (5,200 feet), Sedona (AZ) area campgrounds (Cave Springs, Manzanita and Pine Flat), Kodachrome Basin State Park (UT) and Goblin Valley State Park (UT). The list could go on and on! 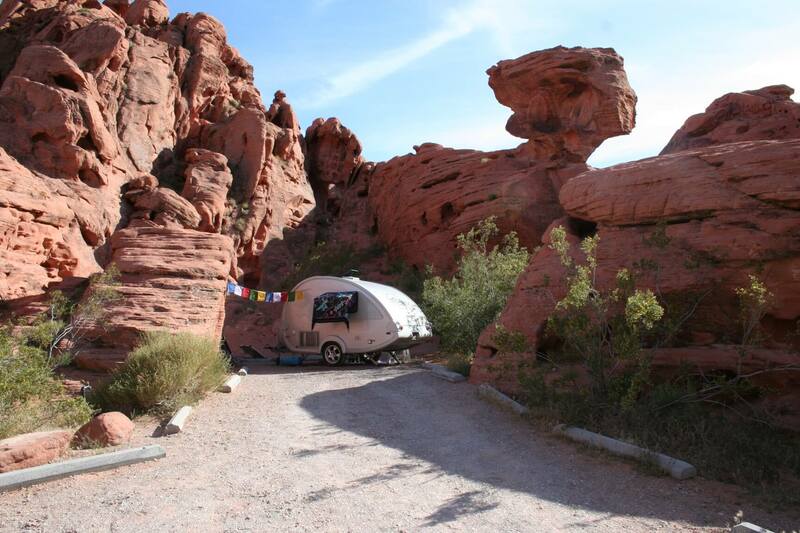 We’re sure to have left out some of your favorite fall desert campgrounds. 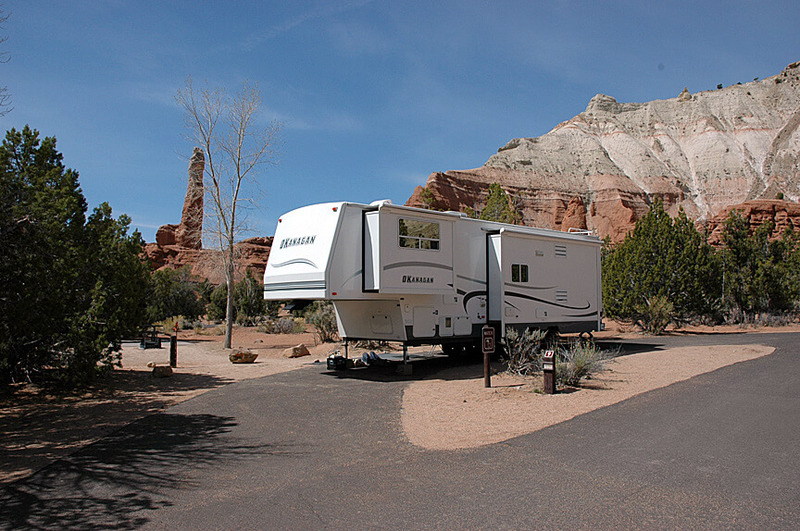 Please leave a comment and let us know which desert campgrounds you like to camp at during the fall. And if we don’t have any photos, we’ll get it done!